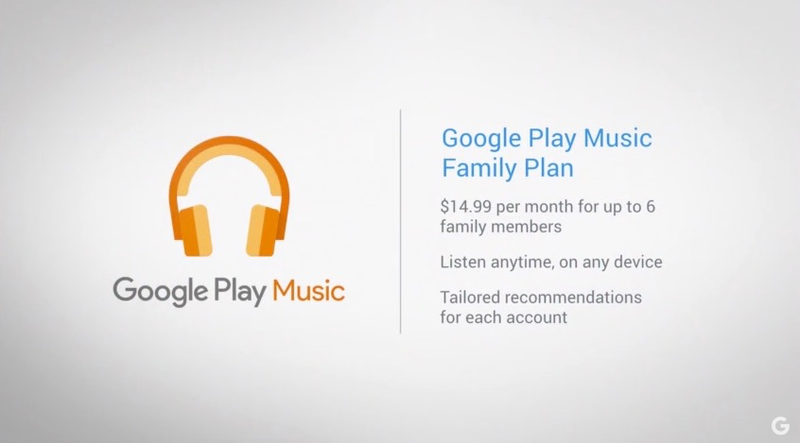 Google just announced a “Family Plan” for Google Play Music. For just $15 a month, you get up to six accounts that family members can use on any device. The plan will even keep each preferences and recommendations. That’s a pretty good deal. The idea of a shared family plan for streaming music is hardly new. A year ago, Spotify announced its own deal that let you add a new account for 50-percent of the price of the main plan. So if you pay $10, that would be $5 for each extra family member. A family of six—one that would max out Google Play Music’s new Family Plan—would cost $35. Obviously, Google is trying to beat Spotify’s price. Let’s see if the new service can beat Spotify’s terrific features.